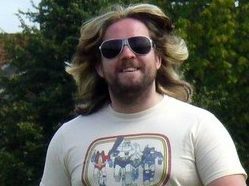 Radio host and former TV star Justin Lee Collins is suing The Sun for up to £50,000 in libel damages over a story claiming he was fired from a radio station for making sexist remarks about female co-workers. The claims related to Collins’ employment at West Midlands-based online radio service Fubar Radio, which stands for ****ed Up Beyond All Radio and claims to be “uncensored and unregulated”. 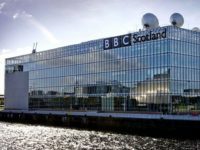 The story, which appeared in the Sun’s showbiz section, Bizarre, said Collins had been “axed from the station for sexist comments made off air to female staff”. It quoted an insider at Fubar Radio as saying of Collins: “He’s been heard saying: ‘There’s too much p***y running this station’ and staff don’t think he should get away with it”. The anonymous source also told The Sun that staff were “furious and feel his views on women are inappropriate and extremely outdated”. Collins’ lawyers filed a writ with the High Court on 25 November, 2016, against Sun publisher News Group Newspapers. They said the articles alleged Collins had made “vulgar sexist rants to his fellow female employees at Fubar to the effect that there were too many women among its senior management”. 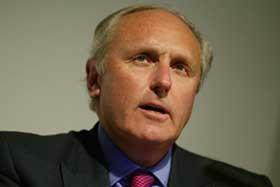 The Sun is said to have given the impression that he had a “deep lack of respect” for his female co-workers and that the remarks had caused him to be dismissed from the station for gross misconduct. The story was repeated by a number of other news outlets, the lawyers said. They added that in another story about Collins published by The Sun online on 14 August, 2016, the same libel was repeated again. They told the court the allegations of sexism were “likely to cause serious harm to his reputation” and “will adversely affect [his] ability to secure employment and therefore to earn a living”. In support of his claim, Collins’ lawyers said The Sun did not attempt to contact him or his representative prior to publication. They said a journalist had contacted Fubar chief executive Duncan Smith ahead of the story going to print, but he had “informed the journalist that there was no truth in the allegations of sexist behaviour and that [Collins] had not been sacked from Fubar”. The lawyers said Smith told the journalist that Collins had “merely been taken off air as part of a change of programming” but that despite this “authoritative rebuttal” the articles were still published and did not include “even the gist” of Smith’s statement. They said The Sun did not take any action after a letter was sent to the newsdesk requesting the articles be removed from the website and a retraction and apology issued. The claims were said to have been taken “extremely seriously” by radio station XS Manchester, where Collins is also employed, and resulted in him being “summoned to a meeting with the programme controller at which [he] had to defend himself”. They said Collins had kept his position, “which is extremely valuable to him”, but that he had been “put in fear that he would lose his employment”. Alongside damages, Collins lawyers are also seeking an injunction. Former host of the Channel 4 Friday Night Project Collins was convicted of harassment against his former partner in 2012 and sentenced to 140 hours of community service.